The memberships of the National Association of Certified Valuation Analysts (NACVA) and the Institute of Business Appraisers (IBA) have voted to ratify the new principles-based standards developed jointly by a team representing both organizations. 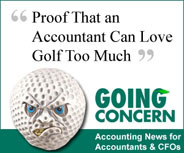 The new "principles-based" standards align with the AICPA’s SSVS No. 1. These standards become effective June 1, 2011. For a copy click here. BVU has an analysis of the joint effort between the two organization in the May issue, available next week. Mark Hanson, Nancy Fannon, and Ed Dupke — who were part of the two committees that started this work at the end of 2009 — are the authors. “The overriding purpose of this effort is to take the first step towards eventual profession-wide unification of business valuation (BV) standards,” said Parnell Black, CEO of NACVA. Nearly every business appraiser (and most outside the profession who understand the situation) supports the goal, but several previous attempts have failed. … There is no dispute about the qualifications of the appraisers. The problem is created by their willingness to use their resumes and their skills to advocate the position of the party who employs them without regard to objective and relevant facts, contrary to their professional obligations... In addition, the cottage industry of experts who function primarily in the market for tax benefits should be discouraged... In this case, in the view of the trial Judge, the expert report is so far beyond the realm of usefulness that admission is inappropriate and exclusion serves salutary purposes. Read the complete digest of Boltar v. Commissioner, 136 T.C. No. 14 (April 5, 2011) in a forthcoming Business Valuation Update; the Tax Court’s decision will be posted soon at BVLaw. Appraisers may recall the $290 million verdict that a small Canadian software provider won against mega-co Microsoft back in 2009. (See BVWire #85-1) After losing its 2010 appeal of the damages award to the U.S. Court of Appeals for Federal Circuit, Microsoft took its case to the U.S. Supreme Court. (For the complete digest of both i4i Ltd. v. Microsoft cases, see the Nov. 2009 and March 2010 BV­U.) At issue is not the damages award (or its expert evidentiary support), but the standard by which defendants must prove that a patent is invalid. Currently, that standard is “by clear and convincing evidence.” Microsoft argues that standard should be lowered to the one more common in civil cases—that is, “by a preponderance of the evidence.” Supporters say a lower standard will encourage legitimate innovation and reduce costly patent litigation, but detractors claim the higher standard protects innovation and lowers the cost of patent enforcement. The Supreme Court began hearing arguments on the case on Monday. Its decision will be closely-watched by patent attorneys as well as the U.S. Government (which filed an amicus brief against Microsoft) and major U.S. companies on both sides of the question. A recent blog from a Seattle-based PI group says the case puts “patent law at a crossroads” and could very well turn out to be the “patent case of the decade.” Stay tuned…. Here's an interesting fact from the new 2011 BV Firm Economics and Best Practices Survey: Most firms with websites are not actively updating them. As shown in the table below, the bulk of business valuation firm web sites are relatively static—increasingly so, in fact. This tends to reduce the likelihood that these web sites will come up in natural search results in Google. It also suggests that BV firms receive relatively little new business through their web sites, compared to other businesses. So, it’s tough to dedicate the time or resources necessary to make the sites more compelling. In the meantime, more and more firms (or individual appraisers) are turning to blogs as a way to attract web traffic—5% of firms responding claim to have a business valuation-related blog. How often do you update the content on your website? Valuing small businesses in divorce and other contexts sometimes seem more trouble than they are worth, especially in the current economic climate. Limited client funds often support only a preliminary or calculation of value—but three recent cases in as many months show that nothing but a complete, comprehensive conclusion of value carry any credibility with the courts. (See, e.g., BVWire #100-3 and BVWire #101-1) Even if funds are available, discovery of the financial information necessary to produce a comprehensive valuation is often stymied by uncooperative owner-spouses and incomplete record-keeping. Data on comparable companies and transactions must also be checked against the effects of the recession. To find out how to hurdle these problems and still make these engagements cost-effective, join Ron Seigneur (Seigneur Gustafson), Kevin Yeanoplos (Brueggeman and Johnson Yeanoplos), and Michelle Gallagher (Gallagher & Associates CPAs) for “Valuing a Business Worth Less than $2 Million.” This BVR webinar will feature an in-depth examination at the unique challenges inherent in small business valuations with special focus on how recent economic events have affected and will affect small business appraisals. Early registration discounts are available until April 22. June is the proposed deadline for convergence projects under the much-publicized Memorandum of Understanding between FASB and IASB. Four of those projects have been delayed for a few more months, according to a joint release April 14th. Those are the revenue recognition, leasing, financial instruments, and insurance projects. BVWire continues to monitor these projects, and what seems to be intense lobbying efforts by every one in the accounting profession (most recently the Institute of Management Accountants), though the immediate impact on the business valuation profession may be minimal. BVR’s Online Symposium on Healthcare Valuation continues on April 26 with The Anti-Kickback Statue and Stark Law: Avoiding Valuation of Referrals, featuring James Pinna and Matthew Jenkins (Hunton & Williams). Including discussions of the fair market value implications of these laws, this presentation will feature a thorough examination of relevant case studies.